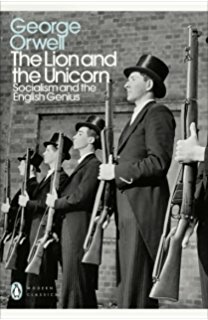 In The Lion and The Unicorn, his great 1940 essay on the nature of Englishness, George Orwell, in Hampstead, as the German Bombers flew overhead, was trying to define the identity of something that was in real and present danger of being lost. Perhaps this is why it is the definitive statement of identity that it is, why it had to be definitive. The very survival of England was at stake. Orwell, in a rather irritated aside, addresses the anomaly, when he acknowledges that readers in Wales, Scotland and Northern Ireland may object to the expansion of Englishness to include them in his essay on identity. He argues, with some justice, that to the rest of the world, the differences between us are insignificant to the point of invisibility, and moves on, having dealt with the absorption of the minor Celtic nations into the big one purely as a matter of identity, and not as a series of political, historical and cultural events. Rather in the way he fondly accused his countrymen of their not knowing that the British Empire existed, Orwell treated the Expansion of England as a fact of nature, rather than as a political process that could, as is the nature of processes, be reversed. This is all in my mind this morning as we approach what future historians of identity in these islands may, (or may not, depending what May does in Florence on Friday) identify as a defining moment as much as 1940 – “Dunkirk and All That” – was definitive for the relationship of 20th Century Britain to itself and to everybody else. It seems to have been on Boris Johnson’s mind as well. Not only is he ferociously, personally ambitious, he is also rather a gifted and passionate writer on English history and identity. Churchill is his hero and role model in this as well as, he hopes, finding himself summoned to the Palace to assume the office of Prime Minister in Our Darkest…and Our Finest Hour. May was being widely trailed as finally making the statement of British Intent on Brexit that the aforementioned Maddened Foreigners had been waiting for. Finally, it was promised, more than a year after voting for it, they would be told definitively, what the British wanted out of Brexit. There would finally be clarity in the negotiations because there would finally, actually be a real and conscious policy that Britain was pursuing. And this is where we get back to absent-mindedness. The entire historical success of Britain, or England, has been in not really being conscious of what Britain, or England, was doing. The famous preference for “muddling through”, “buggering on” and so on, is not just a charming cultural trait like warm beer and cricket on the green. It’s actually at the heart of how Britain, or England, gets things done. The centre of things, the way things are, must not be challenged. The way to deal with change is always, ALWAYS to act as if nothing had changed. The Scots, Welsh and Irish may have been conscious of the particular circumstances of their absorption into greater England, but it is the genius of England barely to have noticed. The British Empire was not only absent-mindedly acquired over two centuries, it was as inconsequentially and easily abandoned in two decades in exactly the same way, as if it had never been. The perennial question, since 1950, of “why are all these immigrants from India and the West Indies coming HERE?” is testimony to this sound cultural policy of forgetting. In a similar way, the consequences of the End of Empire on the immediate borders – the slow and differential self- assertion of the previously quietly absorbed peripheral nations of Scotland, Wales and Ireland over the last century or so – has been equally irritating and inexplicable. As for Europe, and what is or is not going to happen on Friday, Greater England joined the EC in 1973 with exactly the same strategic self-persuasion that “nothing has really changed” with which she has been attempting to leave the EU. “Britain” – the economic and administrative oligarchy that bestrides Greater England like an invisible colossus – may well have known that joining the EC was absolutely essential, if politically inadmissible, as a SUBSTITUTE for Lost Empire in connecting to the imperative yet invisible wider world. But England, like Ireland, Scotland and Wales, is inevitably, as the Empire fades from memory, asserting a distinct identity, and will be having none of it. It turns out that Britain understood “England” just as poorly as it understood its other colonies, and with catastrophic results. What the other Europeans, the foreigners, may have failed to understand is that unconsciousness, NOT having a fixed policy on Brexit, was absolutely essential not just for holding Britain together, but for Theresa May holding her cabinet together. David Davis was never specific in his negotiations with the EU because he and the Cabinet had never been specific with each other. They had never even really discussed it outside of algorithmically isolated cabals of Europhiles and Eurosceptics who only ever talked to people they already agreed with. All that, by force majeure, was due to change on Friday. The Prime Minister was going to get specific in Florence on a phased transition deal that once again try to keep the cracking edifice of Britain, and the cracking edifice of Her majesty’s Government together, that once again, would change everything, while changing nothing at the centre. And Boris Johnson, on Saturday in the Daily Telegraph, spoke for England, and said he and England were having none of it. This is only Wednesday, as I write. Not, like Orwell, with German Bombers flying overhead, but just before what might be the next moment of crisis in Britain’s long, more or less managed post war decline. Boris has drawn a line…the moment we get specific on Brexit, hard or soft, one way or the other, the Cabinet and Government split like an over ripe melon. It is entirely possible, even probable, given past precedent, which Theresa May will follow in the grand historical tradition of putting off till tomorrow the reality that she would rather not face today, and that her speech on Friday will be as gutted of content and specificity as almost everything else she says. But if Theresa May screws her courage to the sticking post and goes ahead with Speech A, make no mistake, the Tory Party Conference in Manchester in the first week of October is going to be a bloodbath that it is hard to see her Minority Government surviving. As a footnote the subject of reality, it has just occurred to me that the name we might give to England leaving Europe on its own might be just “Exit”…but that’s a thought for another time. England’s control of Scottish affairs,masquerading as British inclusiveness is coming to an end and more Scots now see it for what it is. HM press will continue to perpetrate the myth because their owners want to maintain the status quo but even they can’t continue to pretend a spade is not a spade for much longer. As with Ireland,so long as we retained our common European citizenship,things would have muddled along but now the choice being forced on everyone in these isles (the republic excluded) is whether to be English or European. I hope we can make it Scottish and European. Agreed. Being in EU was protection of the Celtic parts from full-blown English nationalism. But I’m not so sure, at least in the minds of the Britnats, that the Republic of Ireland is excluded. Some of them appear to think the Republic is still part of the UK or should have its own EU exit and become part of the UK. That’s really their ‘solution’ to the border issue. They are quite delusional. I think if they may, in time, find themselves American, in all but name, after leaving the EU. For me the 2014 Indyref felt like a choice between becoming more Northern European or more American. I pray we get another chance to make a wiser choice for Scotland & my weans. Yes: the English barely seem to have noticed but very few Scots and Irish (don’t know about the Welsh) seem to be conscious of the fact that the great bulk of them are NOT Celts. A British Celt is properly defined as a person who speaks one or more of the Celtic languages which originated in Britain (Britannia) or Ireland. Scots Gaelic may or may not have originated in Ireland. British Celtic reached Ireland from somewhere in Britannia – but where? Was it from the southern tip of Argyll – the shortest crossing? Therefore, today, about 99% of Scots are anglicized Scots. I can’t speak for others but my use of the the word Celtic is a geographic designation and says nothing about the population. I think a significant issue is the growing diversity of the populations of the ‘Celtic’ parts and the acceptance of this and that what makes one Scots or Irish isn’t some mystical thing in your blood. It’s forward looking. A significant characteristic of Britnatism on the other hand seems to be a nostalgia for some imagined past, the designation of groups as foreign and corrupting of that pure past, and their exclusion. Blood! What are you talking about? What has the language one speaks got to do with blood? Let’s repeat the definition of a Celt. A Celt is a person (living today and of any race, colour or creed) who speaks one or more of the Celtic languages which originated in Britain (Britannia) or Ireland. 2) a native of any of the modern nations or regions in which Celtic languages are (or were until recently) spoken; a person of Irish, Highland Scottish, Manx, Welsh, or Cornish descent. You’re trying to narrow the usage of a word that has very widespread and entrenched additional meanings. Why? That wasn’t a very good post. It was written quickly on my phone. That part was addressed more to Britnat notions of identity, which maybe wasn’t very clear. In part I wish I hadn’t adopted use of term at all. It seems to confuse more than enlighten in this context. Why “properly” defined as speakers of a language, Ewan? Isn’t that very arbitrary? What about the many, obvious, cultural, historic, and socio-political commonalities among the ‘Celtic’ national traditions, that stand in contrast to typical Anglo-centric Britishness? By limiting the term ‘Celtic’ to a philological category, don’t you just obfuscate these factors, and shut down the possibility of a discourse that might serve common aspirations of the various ‘Celts’? I can’t see what interest your definition could serve, other than simplistic British Nationalism. Do you have an alternative term that would better cover the Scots, Irish, Welsh, Manx, etc, as a cultural rather than linguistic group? Scottish DNA,especially in the islands has nothing to do with Anglicisation. The label “Celtic” refers to a pan European culture and not much to do with ethnic origins. Why is a British Celt “properly” defined as a speaker of one of the Celtic languages, Ewan? The term ‘Celt’ has been in use for centuries now as a generic marker for the many and obvious commonalities – historical, cultural, sociopolitical, attitudinal – among the various ‘Celtic nations’ that distinguish us from MOTR Britishness. A flexible but useful distinction. By arbitrarily reducing the ‘Celt’ term to a philological category, don’t you just shut down a discourse of solidarity, in the interests of Anglo-centric British Nationalism? Do you have an alternative designation in mind? “British Celtic reached Ireland from somewhere in Britannia…” – are you sure? How can that possibly be established? Given the major and early distinction between q- (Gaelic, Irish, Manx) and p- (Welsh, Cornish, Breton) Celtic, what can ‘British Celtic’ mean linguistically? Are you suggesting that Brythonic p-Celtic speakers went to Ireland, and were later supplanted there by q-Celtic speakers from Argyle? If so, what possible bearing does that have on any of our identities 3 millennia later? Please explain, because you give the impression of discounting a lot of agreed historical fact to benefit a modern political worldview. What does the term Celtic mean? “The term Celtic has been used in so may different ways in the past, sometimes referring to language, an art style, ethnicity or a time period, that archaeologists are wary of using the term.” (Dr Ewan Campbell, Dept of Archaeology, University of Glasgow). See the views of Dr Simon James, another archaeologist, in the link above. It may be better to base the term ‘Celtic’ on the entry for Insular Celtic languages in Wikipedia. British should mean British Celtic, not Germanic English. He suggests that Irish, which may have been brought to Ireland by British refugees fleeing the Roman advance, may tell us something of the Lowland Celtic language spoken in Britain when the Anglo-Saxons arrived. On a lighter note, I recommended reading ‘England their England’ by A.J.MacDonnell. It concerns a Scottish reporter sent down south after the First War to seek out and report on ‘the essence of Englishness’ and is very funny indeed. The EU refuses to talk about trade until we agree our exit bill but they produce no legal basis for such a bill. So what if we pay a small temporary bill? Neither here nor there. Negotiating the exit was always going to be difficult and will go down to the wire. That’s the way with the EU. We do have the Greek example. Perhaps you would care to buy Mr Varoufakis` book? As he says, we have to be ready to walk away. I am very much a businessman and I detect no panic at all about Brexit. Sorry. Where we are going is pretty clear. We are taking back control. I hope Theresa spells this out on Friday. I am made up for you. I am also a businessman and Brexit has the potential to totally destroy my shellfish business by denying me free access to my key markets and subsequently making my offering uncompetitive. Exit from the EU also threatens access to capital to expand my business (via CFP) and if you think the Westminister Government shall replace that you are in dream land. In addition the devaluation of the currency has pushed my costs up significantly as I have to purchase equipment through an integrated EU supply chain. Who is this “we” you talk of? It is certainly not the Scottish nation who I remind you voted to remain in the EU. The only people taking back control are the British establishment, and you should be careful what you wish for because the next step for them shall be to gut the Scottish Parliament of any difference it can currently make. That is what happens when you give away the country and make it a region of England. Orwell’s idea that England sleepily walked into Empire and ruthlessly exploiting one third of the planet for centuries is laughable to say the least…. 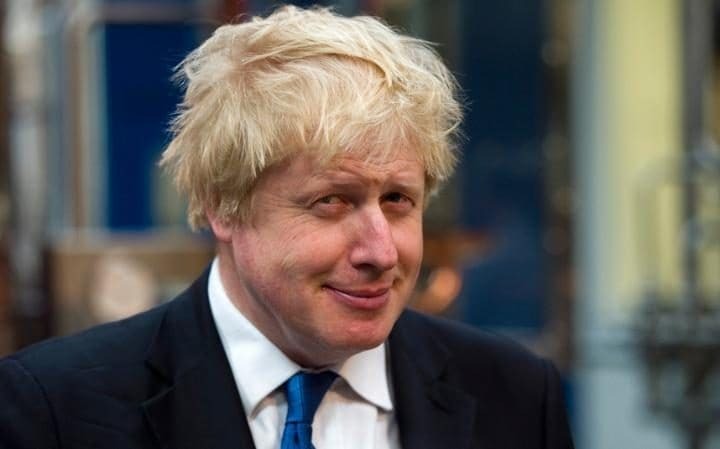 Boris Johnson is the personification of this idea of the bumbling, eccentric English who “accidentally” acquire half the world’s wealth…they slaughtered millions of people for their Empire. That was no dream. That was a nightmare…. Bella, don’t friggin patronize me, please….I’m really not in the mood…. I’m not patronising you my friend I’m challenging you – I think Peter’s analysis is insightful and spot on IMHO. Contrite he may have appeared to sit, but underneath one could sense that he wasn’t really so sure. Everyone really knew where the mainland was. Not much it seems has changed, and recently, one senior Tory publicly opined that the Irish should admit they got it wrong in 1920 and ask to come back and join us. Quite right too don’t we think, even if Nigel didn’t last! Yes it seems pretty evident the English used to treat Ireland as a colony and if proof were needed the UN actually refers to Ireland as a ‘former colony’. Scotland is clearly no different. On the matter of language, Celtic aside, it was evident during the 2014 referendum campaign that the vast majority of Yes voters spoke Scots in all its various regional dialects, whereas a great many (if not most) No voters did not. Language is the basis of culture essentially (i.e. the way we think and act) and from this we may deduce that the vote was largely based around folk having either a dominant Scottish culture (Yes) or a dominant British/English culture (No), both the consequence of the processes of socialization. This implies that language and culture is a key factor, if not THE key factor, in Scotland’s quest for self-determination, and hence why I remain surprised that Scotland’s culture secretary and language minister have not yet acted to bring forward a ‘Scots Language (Scotland) Act’, which should be their raison d’être. Language, efter aw, is wha we are! I’m all in favour of learning about Scottish history and some of it is written in the tongue you choose to call Scots. Aren’t you a retired professor? Your translation of the Flyting of Dunbar and Kennedy (c. 1500) would help to educate many of us who are curious as to what they are on about. Part, at least, of the barney seems to be about Scottish history. Perhaps the editor of Bella Caledonia would be willing to publish your interpretation of what seems to be a spirited exchange involving graphic descriptions of embarrassing diseases, Anglo-Saxon expletives, etc. I am not so much a historian, though I appreciate that Scotland’s past (and present) is riddled with many chancers and rogues. What I can say Ewan, after working closely in business and research with many European’s over more than 4 decades, is that there is clearly a very close connection between the Scots language (far less so Gaelic) and the languages in Scandinavia, the Low countries, France and Germany, much as I think Billy Kay would also agree. Having a good knowledge and understanding of Scots therefore helps us to better understand these other closely connected languages, and to pick them up more easily. Fundamentally though, a Scots Language (Scotland) Act is necessary if we are to respect the human right of Scots to enjoy and learn and understand thair ain mither tung, and not be discriminated against in oor ain laund. I think what Orwell really alluded to is that the English are intellectually lazy as regards the world beyond England. I’m reading his book from the link Mike gives and though it’s very insightful in many ways about the English character, it’s also very blind. He makes the point that two Britons, either Scots or English, would feel more in common with each other if they encountered a European… well, duh! They would both speak English, the European probably wouldn’t, so naturally they would feel more at ease with each other because of the common language. Yet he goes on to extrapolate from that, that everyone feels themselves to be British, meaning there is a brotherly fellow feeling socially between Britons across the country, which I think was very far from the case. When I think of my Scots born mother (b. 1928) and grandparents (b. around 1900) they would never have felt that an English person was one of their ‘ain folk’, but a stranger, an outsider, like a Frenchman or an Australian. And whilst in 1941 they would have probably felt proud to be British, it was only in the sense that Britain was something to be proud of, since Britain cut a figure in the world, Britain had made much of the modern world, so had achieved a great deal to be proud of. I suppose like being a member of a successful organisation, like a bank. But there was no warmth there, no soul, it was more relief that you weren’t at the bottom of the imperial pile but somewhere near the top. And with that relief, or ‘pride’, there was also an element of guilt and even shame. Because to be British meant being part of a hierarchy of power where by virtue of being near the top, others were at the bottom. Was the colonial rule over Africans abd Indians really something to be proud of? Orwell is really blind to those nuances, and assumes that Scots (as Britons) feel the same towards Englishmen as Englishmen feel towards themselves. He’s transposing political identity with social identity. He obviously feels attuned to the popular culture of the common English people, yet he assumes there is a single English identity based on it. Whereas to any Scot or Welshman, the culture of the English upper ruling class is very strikingly different, and it’s the ruling class culture which is problematic and which dominates politically. But Orwell elides the two. My understanding of Orwell’s writings on the themes which Mr Arnott discusses in his article is that, unintentionally or not, he (Orwell) had predicated his thoughts on a myth/construct of Britain/England which was that propagated by the ‘great public schools’ (from which the bulk of the public was excluded). It is analogous to the American myth/construct of ‘manifest destiny’. Although he tried to provide himself with other perspectives – ‘The Road to Wigan Pier’, ‘Down and out in Paris and London’, for example – I detected that underlying it all was a paradigm that the class worldview which was represented in Eton and elsewhere was the ‘right’ one. There was something about so much of the ‘common people’ that disgusted him. Towards the end of his life he acted in the service of the class (and its myth) in which he was educated. His reasons for doing so were probably multiple and conflicted, but, in the end, he felt he had to stick to the myth in which he felt secure and was buried in an ‘English churchyard’. Brexit was brought about – and it is a coup d’etat – by the class which Mr Boris Johnson and Mr Farage, for example, are spokesperson in its interests. The propaganda was aimed at inflaming the sincere concerns of many people who have been struggling under the neoliberal yoke of ‘austerity’. The concerns of the majority of those voters will not be served by the settlement which Mr Johnson’s class seek. Mr Johnson and his clique are not ‘bumbling’, as they and their media like to portray themselves. They are and always have been clear-sighted about what is in the interests of their class throughout the long history of ‘The Empire’. I voted REMAIN, and would like to remain part of the European ‘project’, but I am not blind to the many flaws in both the philosophy and practices of the EU. In many things in life, we often have to choose the lesser evil. Let us not get diverted into alleys about what ‘Celtic’ means. My mother and all my grandparents were all native Gaelic speakers. I enjoy Alf Baird’s many robust contributions to the debate and his boisterous support of Scots, which I consider to my own tongue. There are rich histories and cultures to be uncovered in these fields. But, independence for Scotland, now, is about all of us, irrespective of our place of origin, language, whatever, who live in the geographical area of Scotland making the decisions about how we should conduct our affairs. This is true, but inevitably only to an extent, Alasdair, as independence to a large degree depends on “our place of origin, language, whatever” (e.g. class? ), culturally and generationally, which still provides for a (or the most?) powerful, even inherent stimulus for many among us to continue to very strongly (even naturally) oppose Scottish independence. We should at least appreciate the different cultural push/pull factors at play, and their impact on how Scotland’s now rapidly changing population will vote in future. In this respect the main typologies of Yes and No voters are becoming fairly easy to discern. I agree with your ‘but inevitably only to an extent’, but, inevitably only to an extent. I am who I am, and, undoubtedly historic, cultural and, yes, class factors influence my position regarding independence. I have friends, good people, mainly English-born and raised who oppose independence for similar personal reasons, as you indicate. And, it is becoming clear that such people, and people from other places of origin, were decisive in the 2014 result. Nevertheless, more than 40% of these groups voted YES. I know people in that category, too. They agreed with the argument that by living in Scotland, they and their fellow citizens had the right to govern themselves. So, people can transcend the historic, cultural, class factors to embrace other factors, which for a specific reason are persuasive. Many of them, simply because they were viewing England from a distance, felt that ‘scales had fallen from their eyes’. This is fairly common. Scottish writers like Grassic Gibbon and Jessie Kesson, for example felt they had to leave Scotland to understand it better. As Westminster begins to crumble under the strain of the warring factions of the Conservatives, I think (hope?) that more of my fellow citizens will begin to accept that independence is our best option. Indeed, since I (and you) are still, post 2014, UK citizens (subjects?) I think more of my fellow citizens in England will grasp that, too, and begin to aspire to have a better England. Thank you for the comments…I think you’re right on Orwell, who I admire greatly, sometimes as much for what he tells me without meaning to as otherwise. The thing this piece misses for me and Orwell’s text is that the ties that bind ‘the establishment’ are not based around issues of nationality, place or territory (although they act as vectors for it) but on class and class dominance. I think you are right about the importance of class as a tool of analysis in the understanding of this issue. With the changes in employment, automation, short term contracts etc, the categories used for class analysis probably need a bit of revision, but I think that is possible. I also think we need an analysis of where power lies within our society and how it is exercised. it is not just legal powers, but also economic powers, the instruments of control such as Police, armed forces, ‘intelligence’ services, AND, what is unleashed when the ‘ruling classes’ feel under threat: the thugs who just duff people up. Orwell’s essay is also interesting as a piece of social history. He was an acute observer of his times, though blinded by some assumptions and prejudices. One of the more interesting points I gleaned from it is his faith in the incorruptibility of judges and of the political class in his day (1941). He has plenty of critical things to say about the cruelty of the penal code and the inequalities in his times, but he accuses the ruling classes of stupidity and mediocrity, not corruptibility. That’s not something that can be said of that class today.